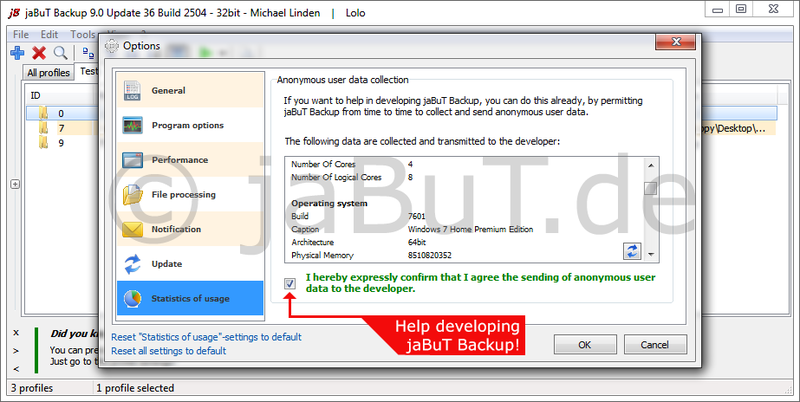 With jaBuT Backup you can configure your backups easy! You can create "profiles" where all the important and backup related information are saved. These profiles are completely independent of each other. 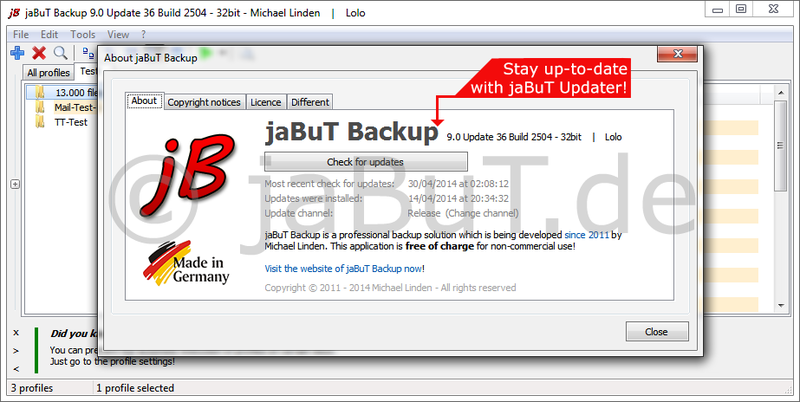 Let your backups run automatically in the background and keep your data up-to-date - with jaBuT Backup! Each profile can be customized with many configuration options. Individual profiles or profile groups can be easily started by passing parameters. There are many other parameter available. An installation is not always necessary. 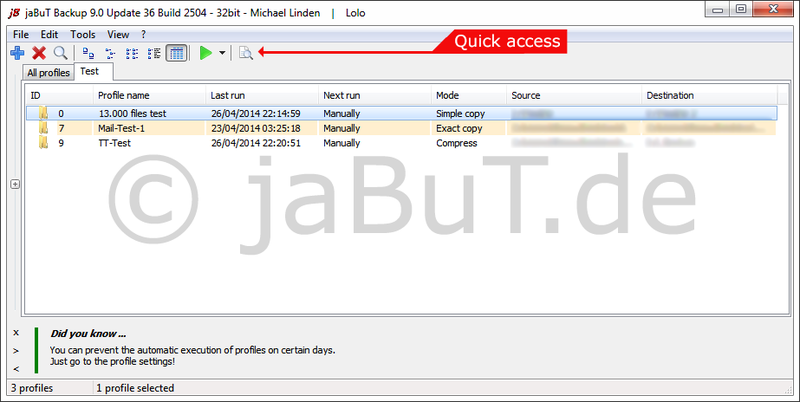 jaBuT Backup can run also without installation on any disk in portable mode. 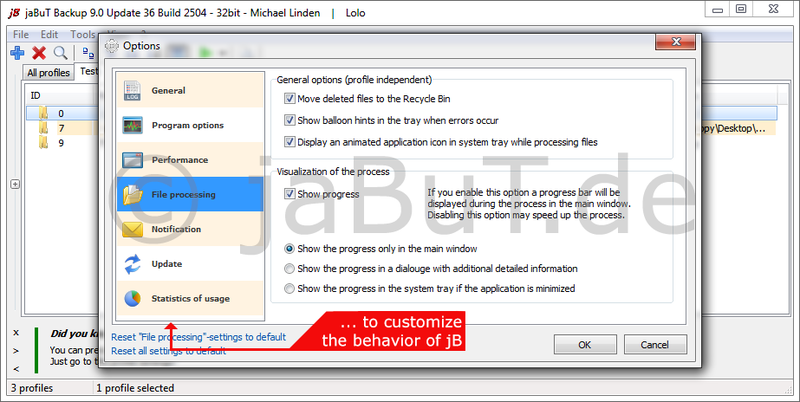 If necessary, jaBuT Backup can process only specific data. For this add the path of a file or directory to the white list. 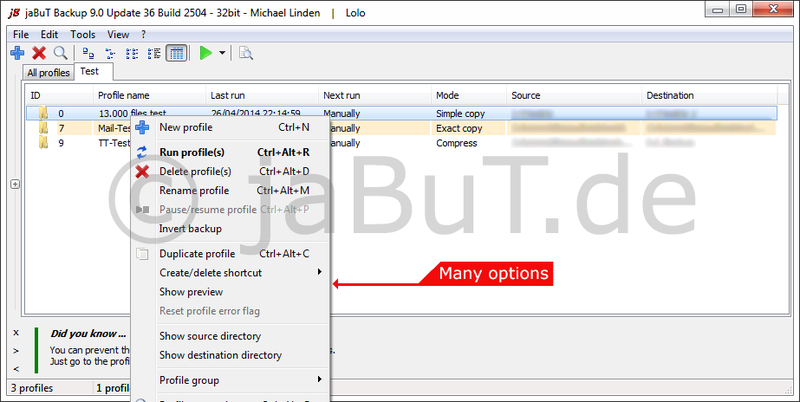 One the other way you can exclude specific data by adding the path from a file or directory to the blacklist. If you want to exclude only a specific file type so add for example *.txt to the blacklist. All profiles can be sorted into profile groups for a better usability. Files can be compared based on the date of the last modification, file size, archiv bit, binary content or file hash depending on your profile setting. 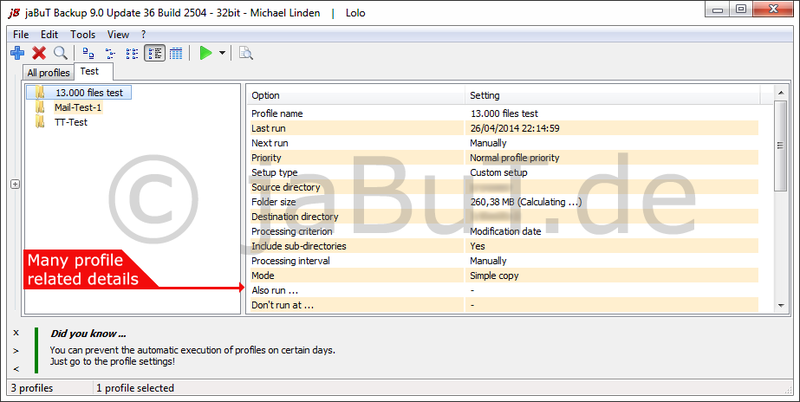 Profiles can run manually or in scheduled mode. If multiple profiles are scheduled at the same time they start sequentially. 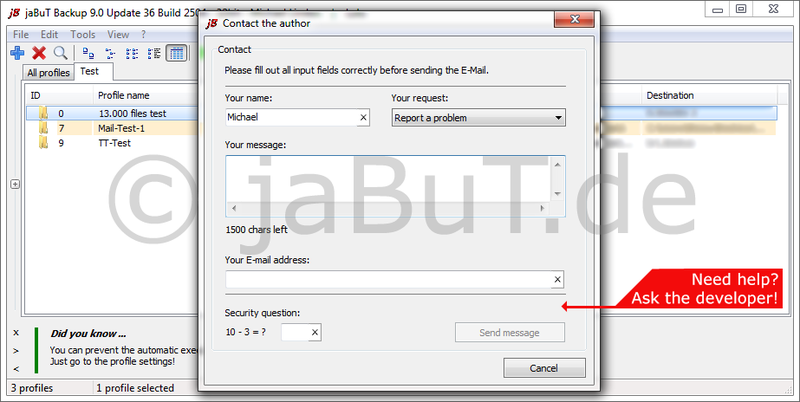 Get an email with a processing report after a profile has been executed. 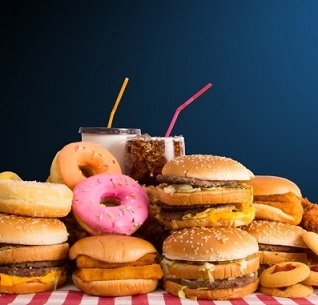 You can specify whether you want it always or only if errors occurred. There are several processing methods: Simple copy, Exact copy, Move, Exact move, Compress, Exact compress, Synchronise, Mirror copy. 45 174 Michael Linden <img src="https://www.oldergeeks.com/downloads/gallery/thumbs/jaBuT1_th.png"border="0"> Apr 01, 2019 - 10:44 2019.03.23612 10.58MB ZIP , out of 1 Votes.